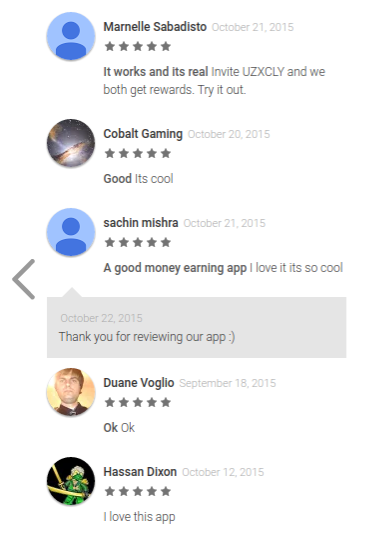 So the money-making apps industry has really involved. If you’ve tried it years ago, chances are you had a horrible experience. 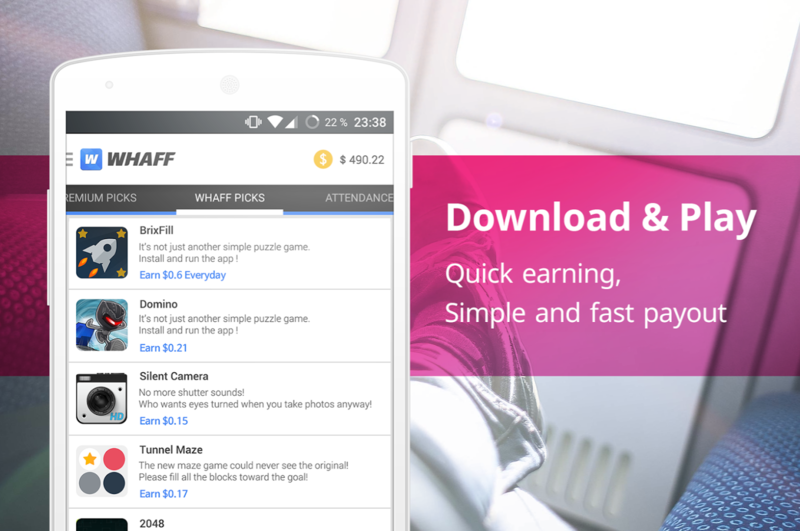 But now there are legit apps that you can earn money off! We aren’t just talking about the gimmicky ones either. 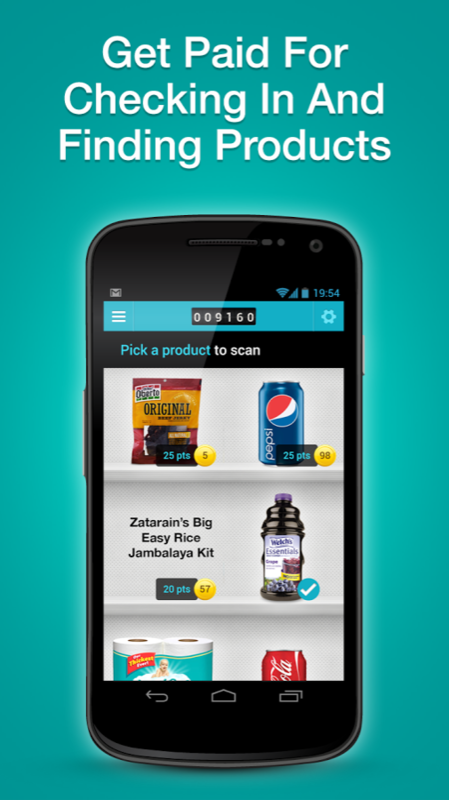 The apps we’re going to lisurvest won’t send you on some scavenge hunt at a grocery store or anything crazy like that. So give yourself a moment to check out these great money-making opportunities. 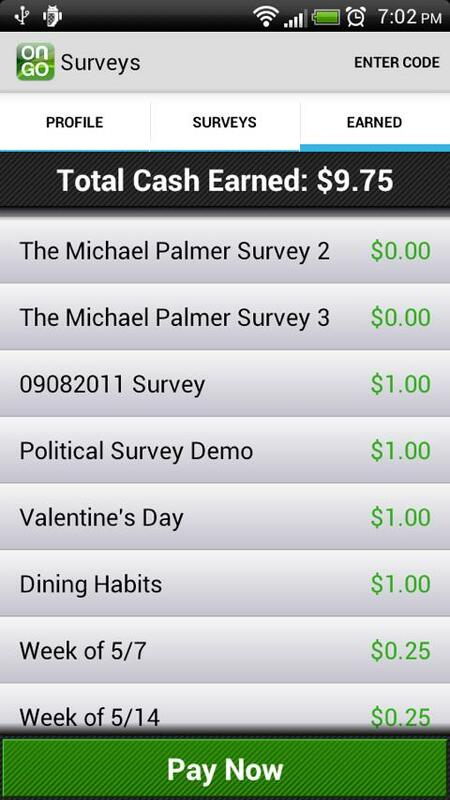 I-Say $10 Operates surveys in over 100 countries worldwide! Survey Sampling International LLC $5 Regular surveys, with some paying as much as $30! 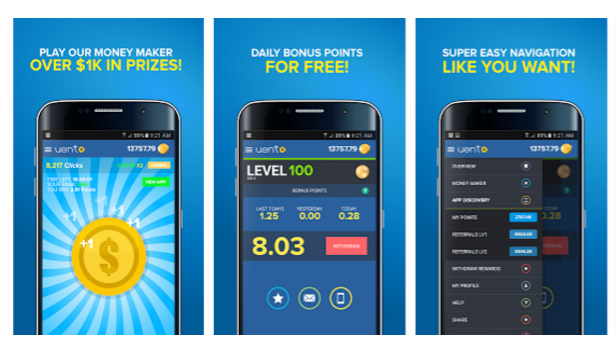 Over $250 million paid out so far – install this app to your mobile device now! Okay, this clearly isn’t a money-making app … it’s a money savers’ app … but saving money is the same a making money in today’s high-spending world. We’re talking UP TO 26% cashback on your online purchases! It’s a total no-brainer — so get eBates for your phone now. 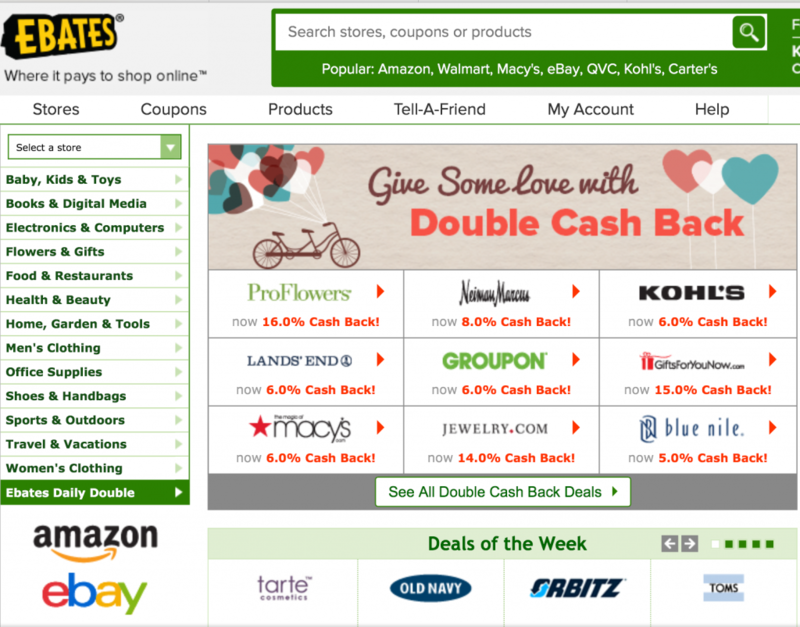 In fact, eBates will give you great cashback rewards on purchases from many top online retailers. Their program extends to purchases made on Amazon, eBay, and many other large e-retailers. 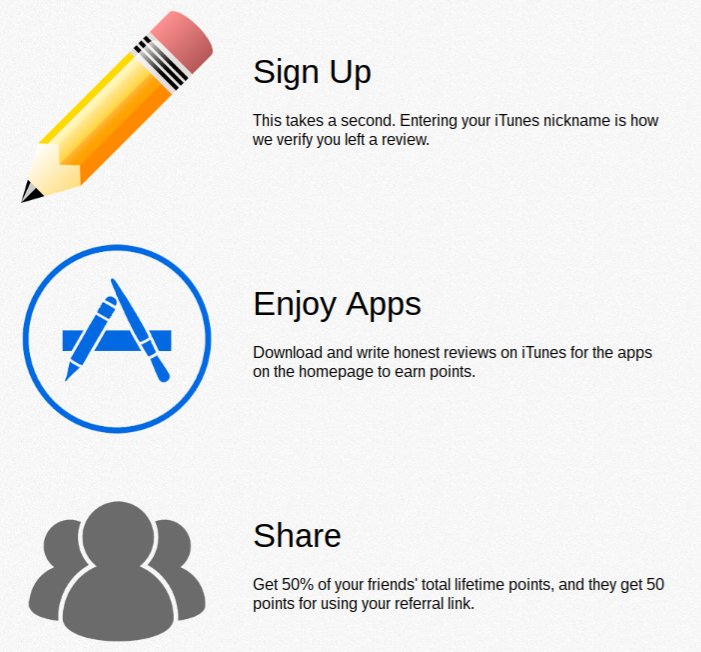 Outside of their special refer-a-friend promotions, you’ll still earn $5 for everyone you get to sign up. If you could find 500 people to join you would get $10,000 for your hard work! Note: The refer-a-friend promotion information applies to their offer running until the end of June 2017. They always have some type of great deal on the table though, so take a look when you sign up! You probably haven’t heard of eBates before, but you’ll be surprised to learn there are many that have already had great experiences with them! The best thing about Cash Pirate is that you just need $2.50 to make a PayPal withdrawal request. 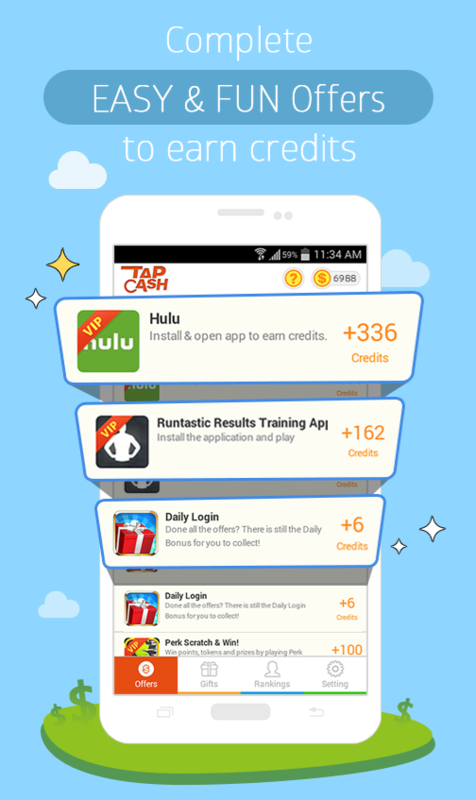 This is super easy to earn here, so you know you’ll score at least a few bucks off this app. 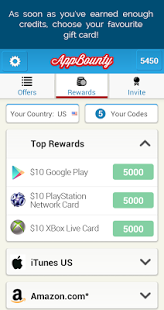 You can give Cash Pirate a try now and kick-start your earnings with the 50-cent signup bonus! The biggest downfall is that this app is only available for Android users; at this time, Cash Pirate is not available in an iOS version. 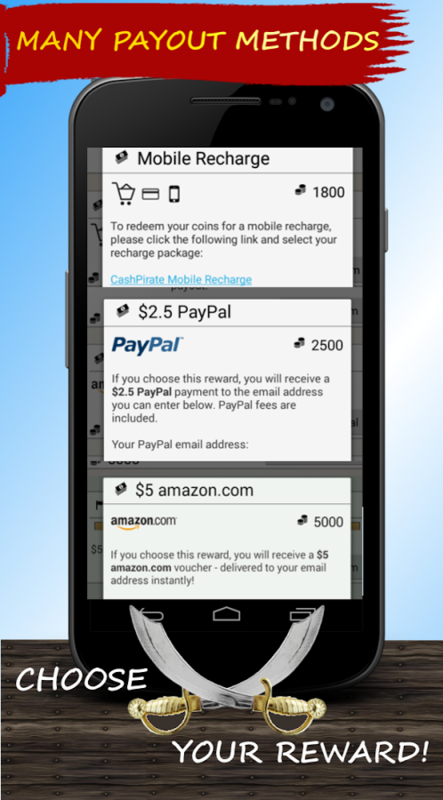 You only need to make $2.50 to request a withdrawal from the Cash Pirate app! Take Cash Pirate for a test spin! 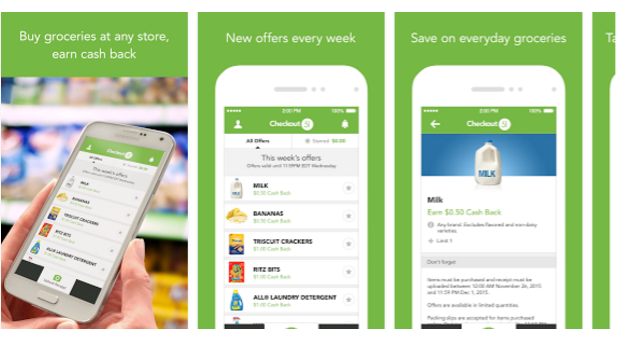 Start enjoying free rebates on your groceries today with Checkout 51! 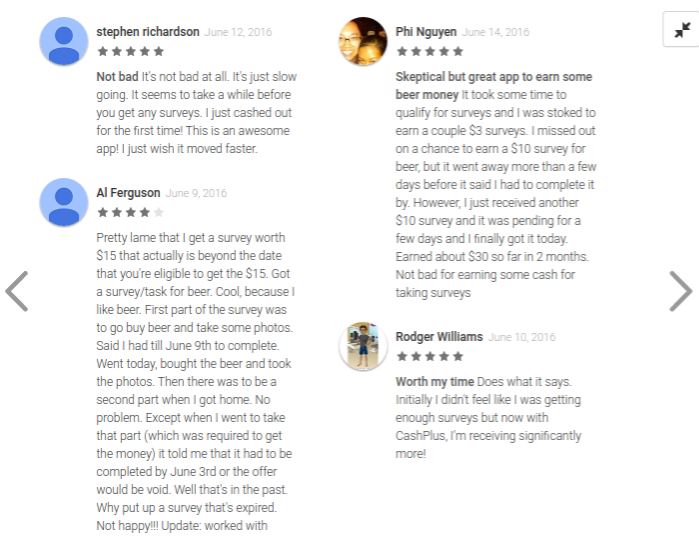 Toluna is a huge paid survey network — and you’re likely aware of how legitimate they are already, but if not Read Our Toluna Review and find out! 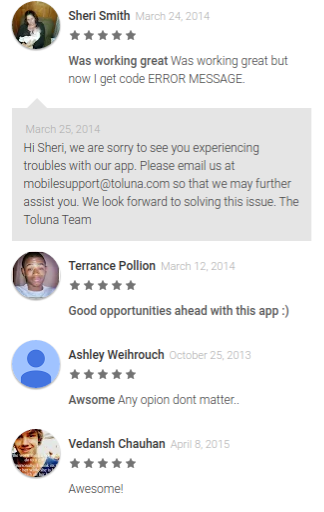 But did you know there’s also a Toluna app? 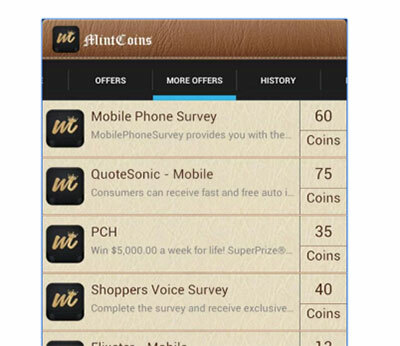 So you can get the opportunity to do paid surveys from your mobile phone, while completing them for a company that you know will actually pay you. This one is seriously a no-brainer for survey lovers. 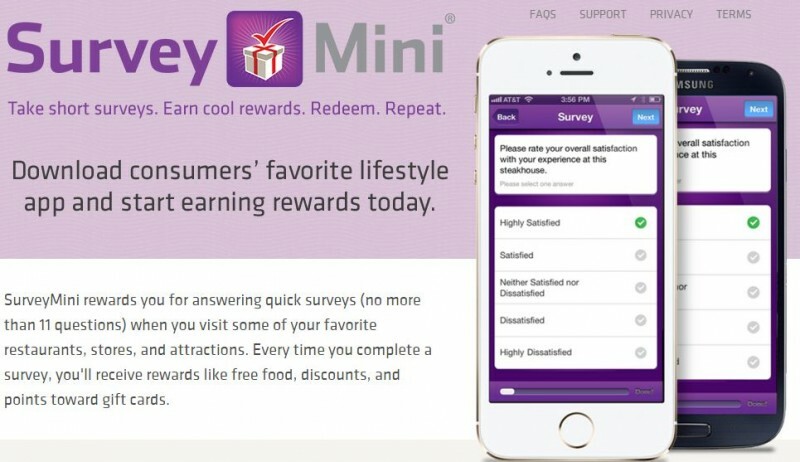 You will get at least a handful of survey offers a month, with each paying around a few bucks per and only taking about 10 minutes of your time. 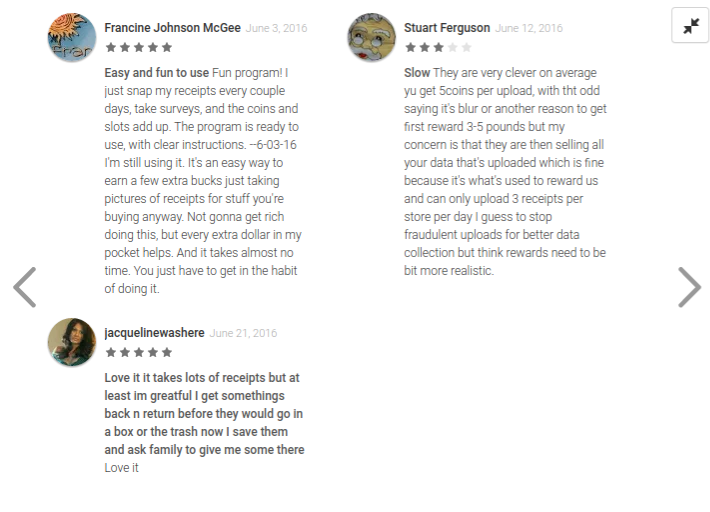 And finally, we have a terrific money-making app with many great reviews that is actually available for iOS device users too. 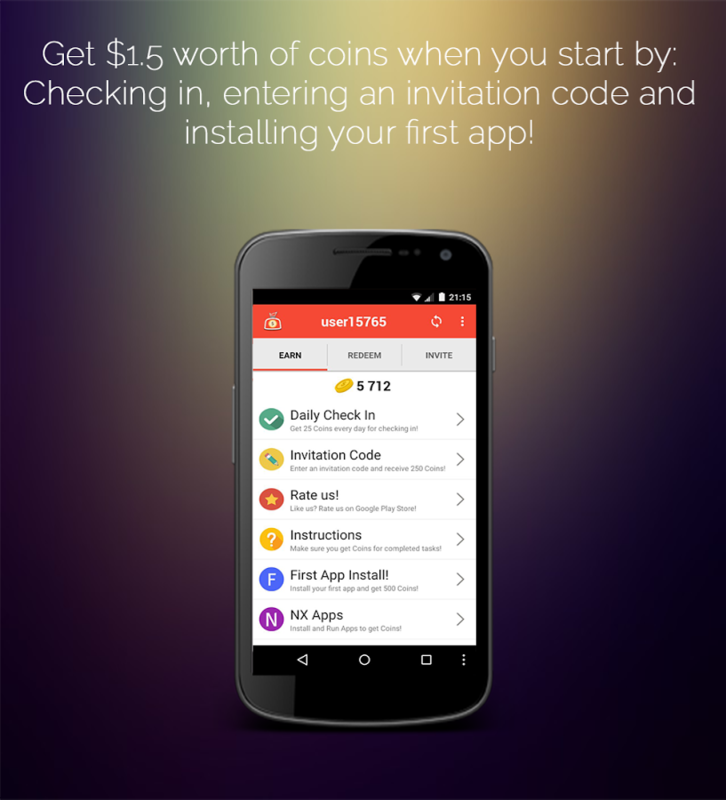 Furthermore, you’ll get $1 after you install the app and fill out the initial survey. Thankfully, mCent is paving the way for a change. They have captured the Indian market research audience by storm. 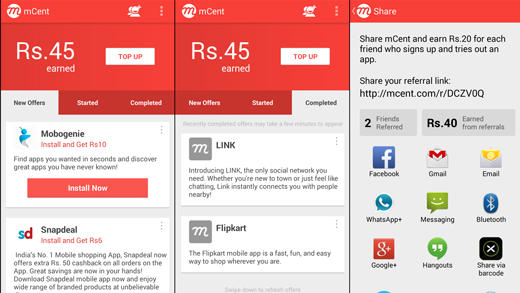 Everyone in India will LOVE this rewarding app! More than 30 million users have already experienced what greatness mCent can offer through the power of having their mobile data PAID for them. That’s right, more than 30 million people have gotten a total of 4 billion gigabytes of data as payment for completing mCent surveys. 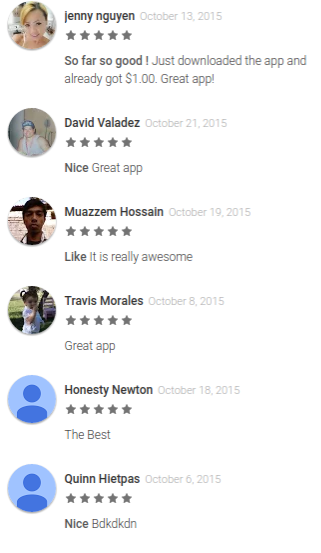 We are stoked to bring awareness to this app to all of you. 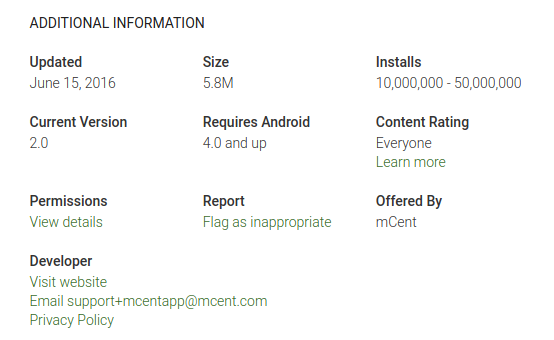 You will be blown away to find this out — there are currently 586,496 user reviews for the mCent app in the Google Play app store. 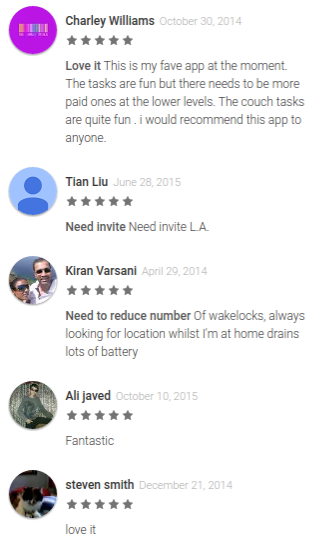 These reviews amount to a 4.1 star average. 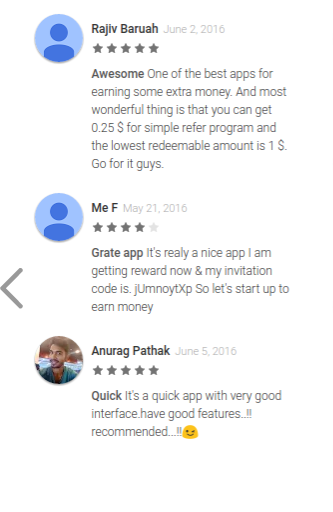 The numbers are very high because there are a lot of people in India that look for rewarding websites and apps to make money. We know that first hand — many of our readers are from India, and they come to us to find paid survey opportunities. Ibotta has saved its users $100 million since founding five years ago! 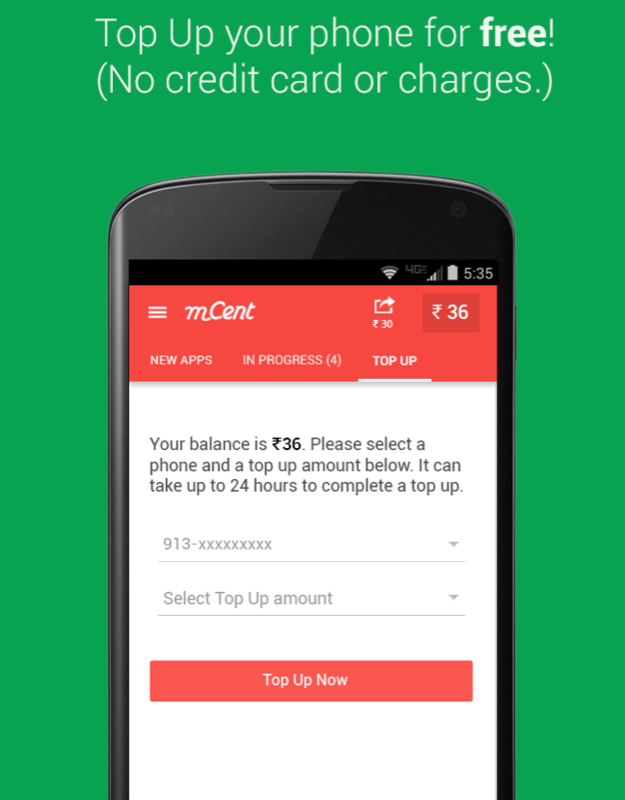 This app is also referred to as the Mintcoins app. 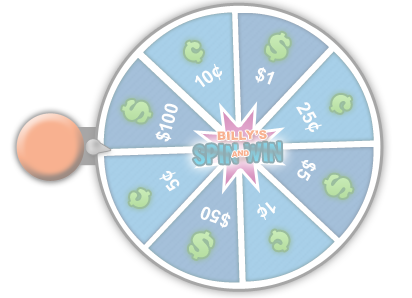 All you need is at least a $1 balance to request a cash-out! 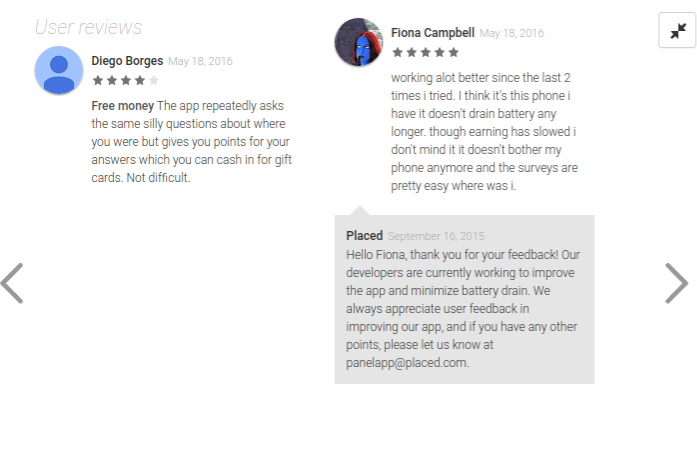 If you want a simple app to make some extra cash with, you really will be happy to know about this one. 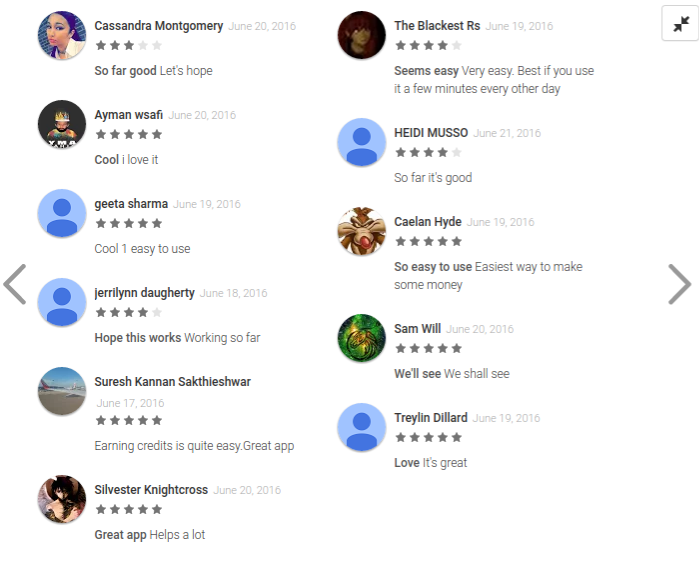 It is possibly the best paying app as far as the cash-out requirement is concerned. 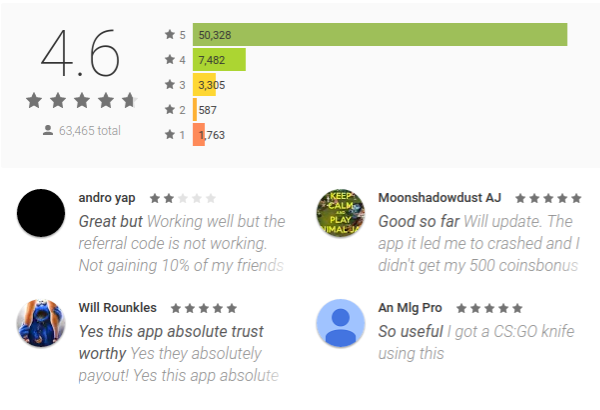 People really seem to like this app; there have been 100,046 Mintcoins app user reviews posted in the Google Play Store. This has resulted in an average rating of 4.4 stars. Also, it’s wonderful having a digital backup for all your receipts … this can come in handy much more than you could even imagine! 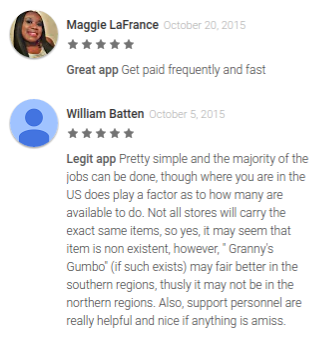 There are 6,277 user reviews on the iTunes store for an average rating of 4 stars. 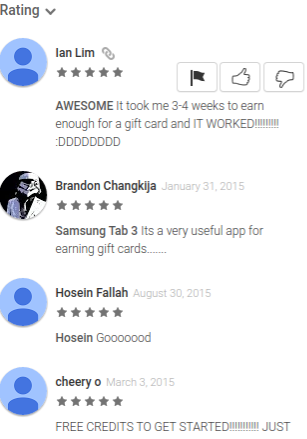 The Google Play store has 37,955 reviews up and 4.4 star rating. 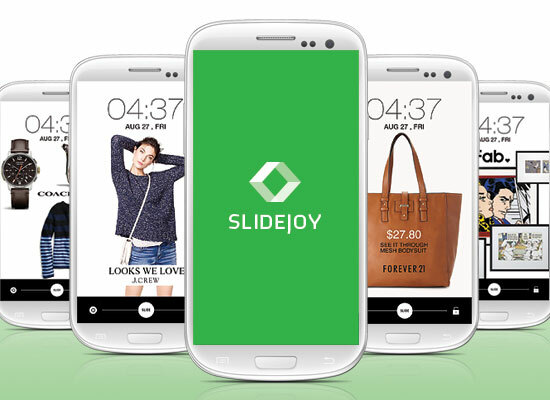 Many people have reported earning anywhere from $3 to $15 in a single month through the Slidejoy app. 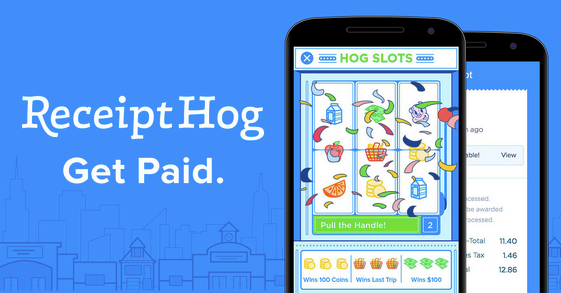 Considering you don’t have to so much as, “swipe a finger,” the free money is well worth it! 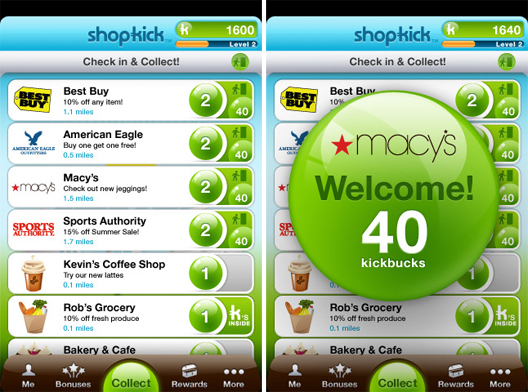 Almost every big name store is set up through the ShopKick rewards program. So whether you’re shopping at Target, Wal-Mart, or even Starbucks, you’ll be getting cashback rewards for your purchases. All you have to do is scan certain items while in-store and also use your credit card that’s attached to the app to make the purchase. 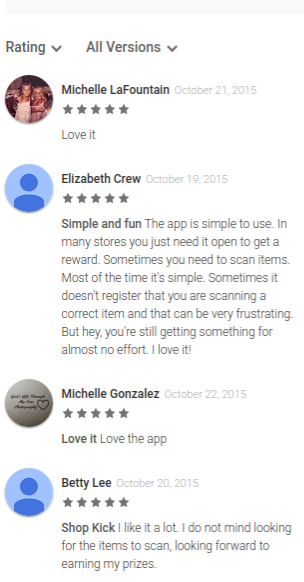 The biggest complaints center around the GPS functionality and the scanning feature. Both of these give users issues from time to time. Also, if you forget to have your ‘Location’ setting turned on then it won’t work properly. Many iPhone users aren’t happy with this fact because their battery gets drained too quick. It’s definitely an interesting way to make money, so if you feel like ‘thinking outside of the box’ then try cashing in through AppWinn’s website! 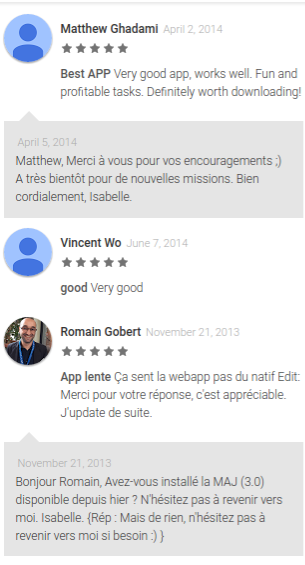 Heard of AppWinn before but couldn’t join because they aren’t Android compatible? 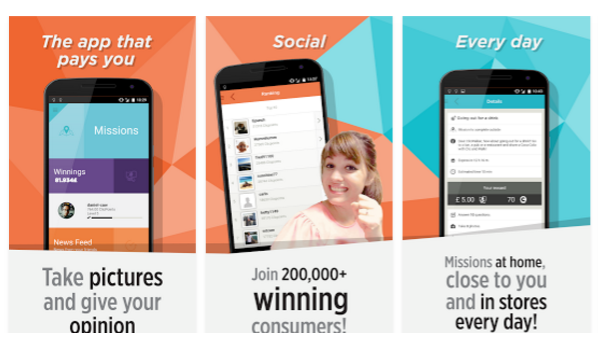 As of June 2017, they are fully compatible with Android users … get on board! 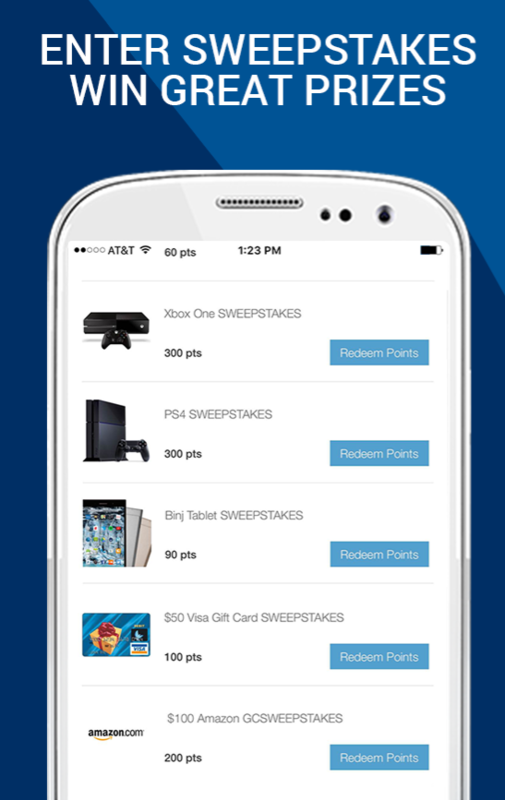 If you use their invite code (from the app store page), “FV5C5V”, you will receive a 500-point signup bonus. You can follow the link for your country to sign up at GrabPoints: United States, Canada, United Kingdom, and Australia. 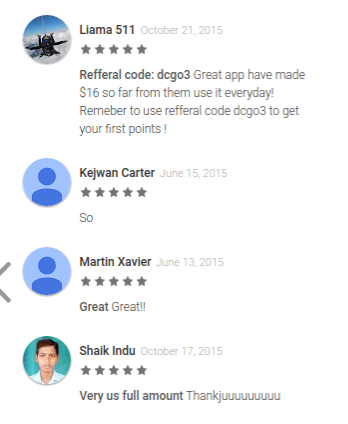 They have a 4.4 star average rating in the Google Play store, which is made up of 30,312 GrabPoints user reviews. 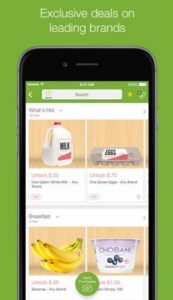 Not only will you be able to cash out your earnings for gift cards, but sometimes you’ll also be able to receive free food and other product rewards. Further, their app has had development updates — including one that made it localized for UK users, which means this is not just a great app for Americans, but also for our British friends! 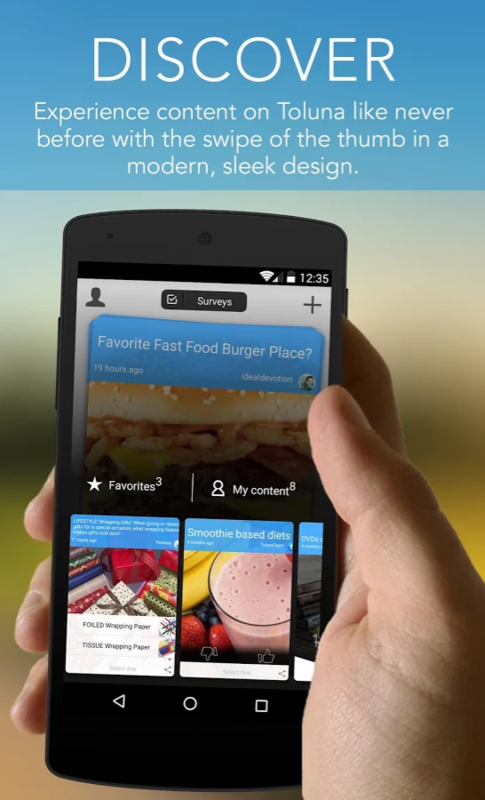 Any time a money-making app looks nice and user-friendly, it is a cause for excitement. 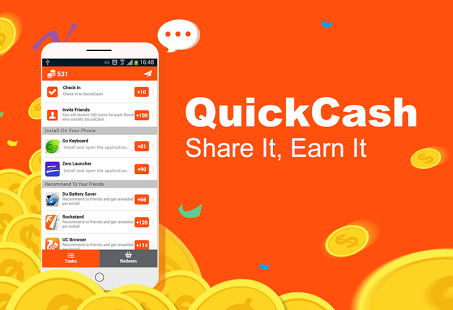 If you haven’t heard of Cash App yet, then now is your time to get excited! 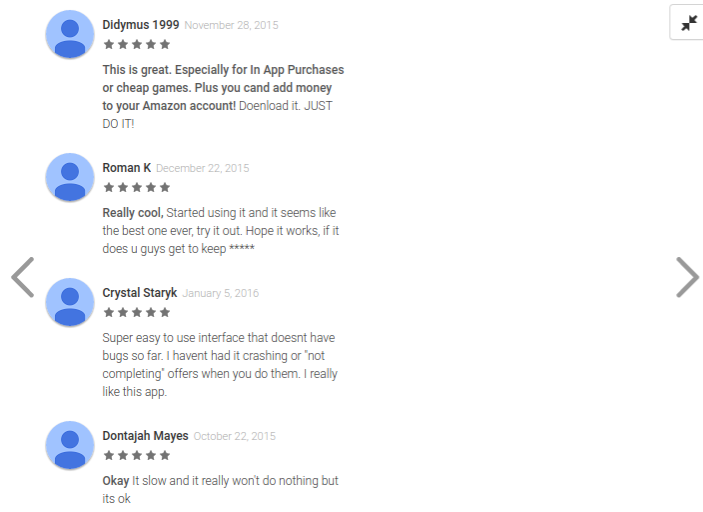 Here’s an app that a lot of people don’t know about yet. The fun thing is how much you can make off referring friends. 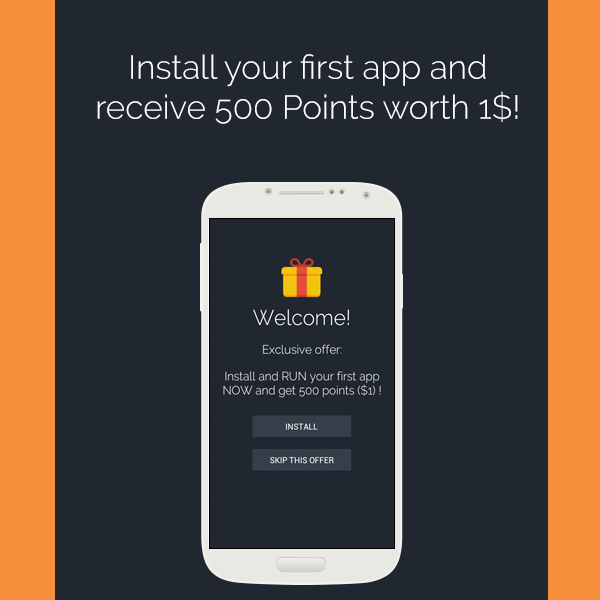 They don’t cap you at a certain earning potential and you even get rewarded on every install they make. Also, it was reported in April that this month (June) there would be an iOS version released. This has not happened yet, but if you’re an iOS user you should definitely keep an eye out for it. 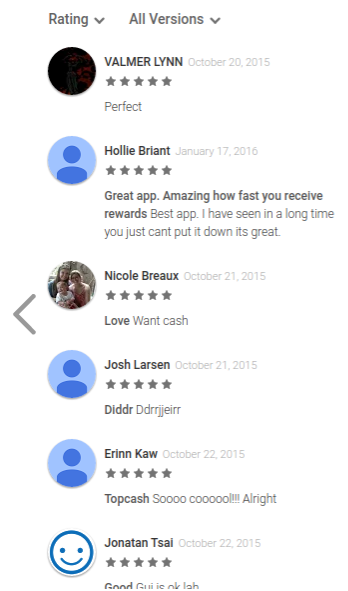 There are 23,812 user reviews for the Quick Cash app on Android. The average rating is 4.2 stars. Unfortunately, there is not an iOS version of the app available at this time. Finally, there’s a break from the norm. 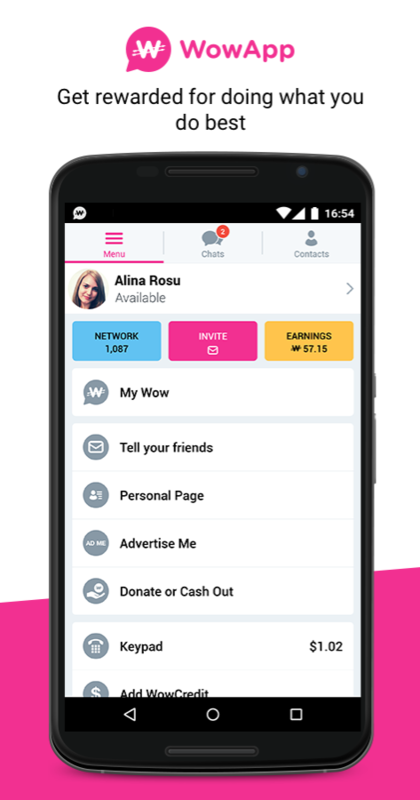 The WowApp Messenger app is something different; after installing, you can start earning money simply by chatting with your friends. 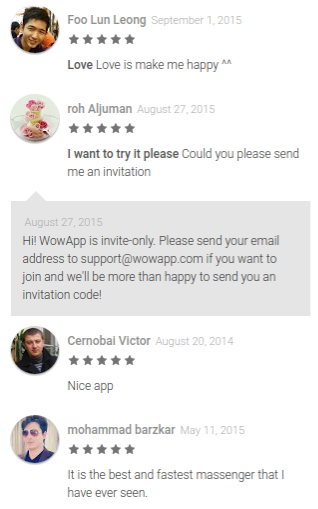 If you run into problems using this app, contact the company by emailing support@wowapp.com and explaining your issue. 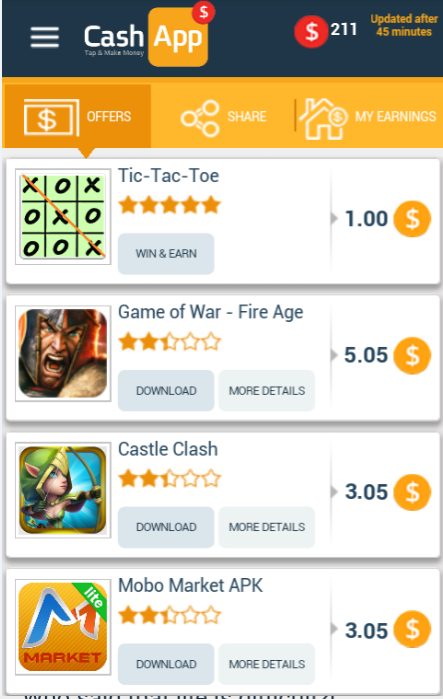 The Coin Pouch app is a lot like the Diamond Cash app; you get rewarded for installing and playing games, watching videos, and more. 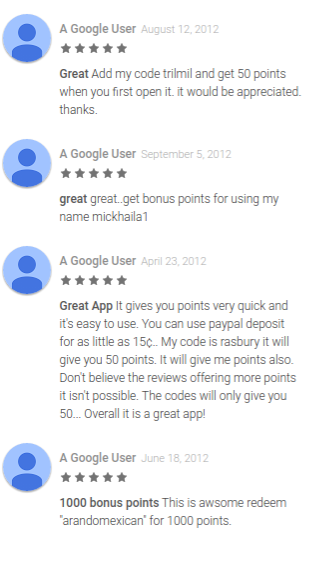 AppBounty holds a 3.9 star rating in the Google App store from 131,998 total reviews; the iOS version is known as ‘BountyBucks’ and has approximately a 3.5 star average among 827 user reviews. 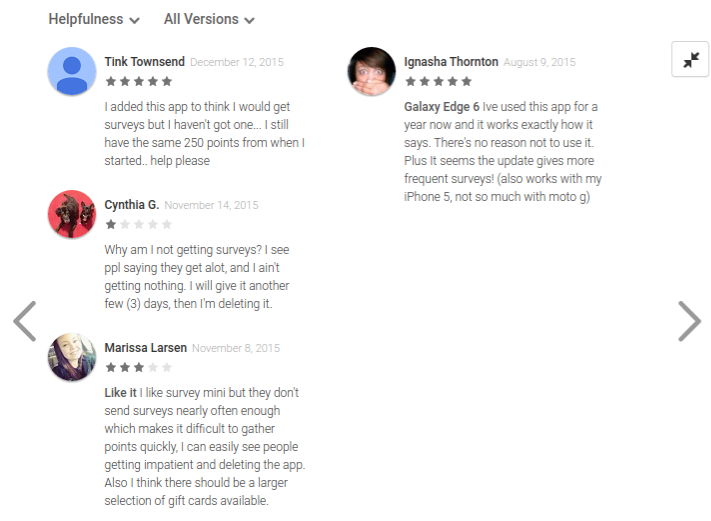 The majority of negative reviews come down to technical issues. If you have troubles with this app, send an email to support@appbounty.zendesk.com and the issue will likely get resolved quickly. Roamler could really pave the way … they have already paid out a lot, and there are many payment proofs online, so don’t discount them so soon. 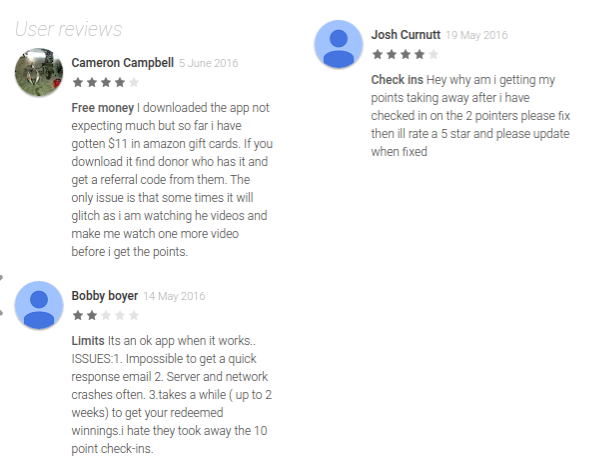 This app only has 2,852 reviews and a 3.6 star rating in the Google App store.It is available for iOS owners, but there aren’t enough reviews or ratings to comment on that. 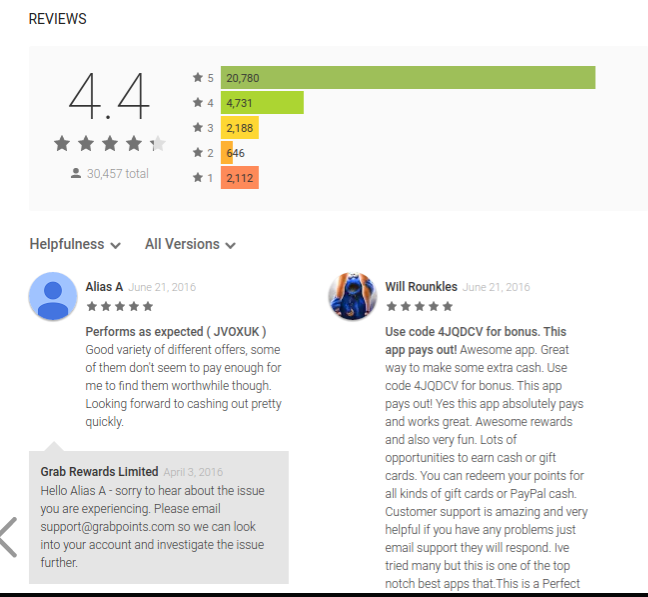 37,058 Android users gave this app an average rating of 3.8 stars, while 4,515 iOS device owners rated it an average of 4 stars. 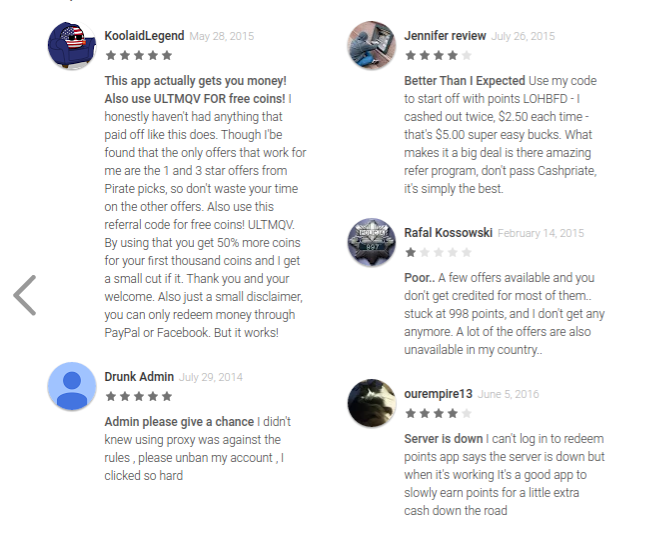 If you do have a bad experience, write to sales@apptrailers.com to figure out the issue. 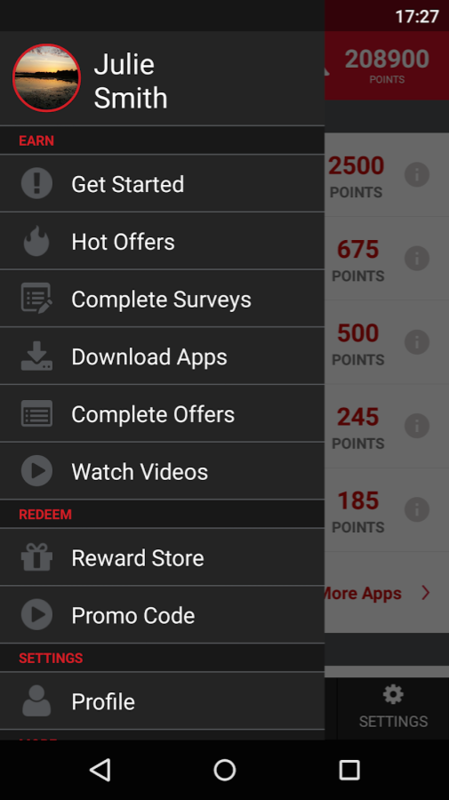 Earn Cash is an app that rewards users for completing special offers, watching videos, testing products, and much more. 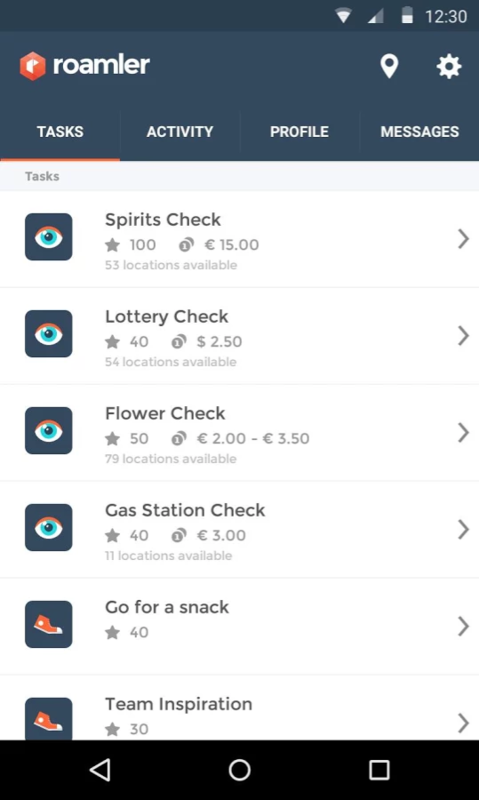 You even get paid for completing tasks like “checking in” at certain places. 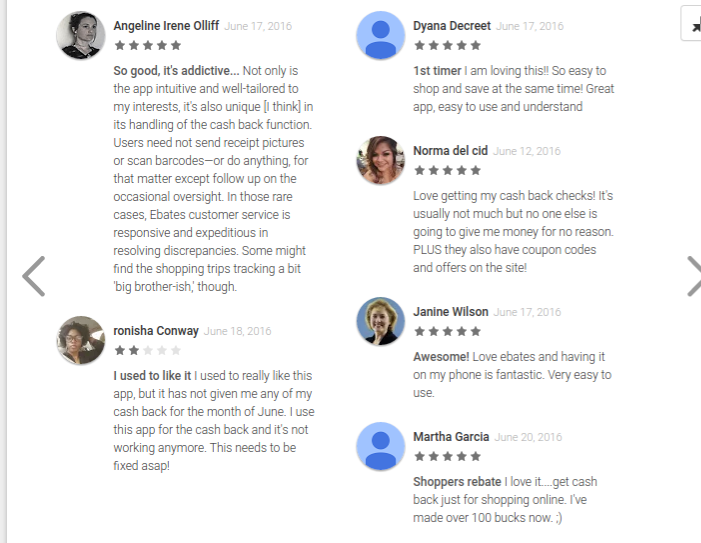 Meanwhile, when you take the time to go through all the user reviews for the Earn Cash app on the Google Play store it is clear they are legitimate. tact earncash@proximasystems.io to get it resolved quickly. 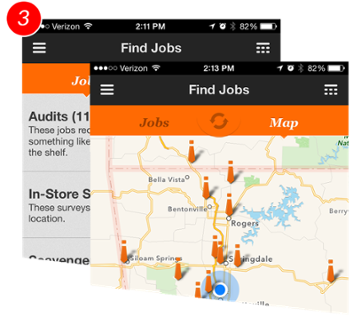 Even if you’re not doing anything exciting, you could still make a good $10 to $20 a day while completing tasks in the Field Agent app. Across all 30 of the top paying money making apps, you could potentially earn $500 to $1,000 in a single month. This is certainly enough earnings potential to not need to look anywhere else! 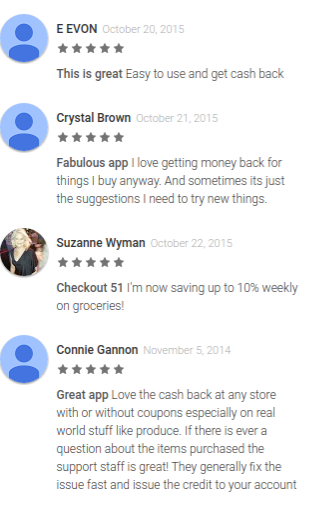 Have you tried a great money-making app that’s not on the listed? If so, please share your experience below!